Have you ever wondered what it would be like to know the day you would die? Would you live differently? Would you feel invincible? Set in a dystopian future, A Time to Die by first-time novelist Nadine Brandes follows the story of a teenage girl who learns that faith in God doesn’t have an expiration date. 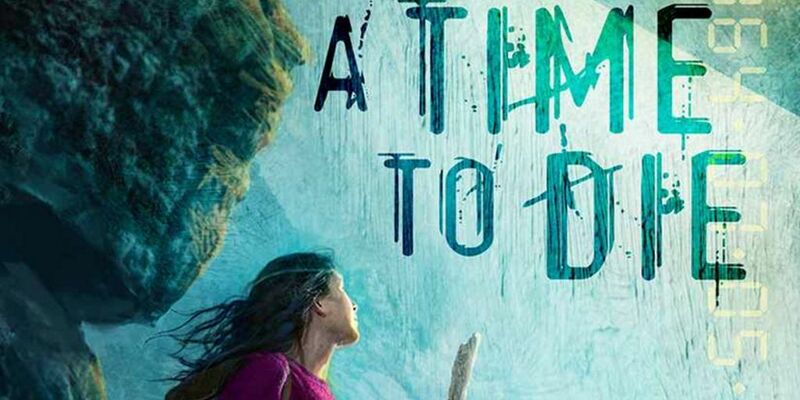 After reading the synopsis, you’re probably thinking that A Time to Die is just a Christian rip-off of The Hunger Games, Divergent, or any number of post-apocalyptic, dystopian novels with a teen girl as the protagonist. While this book does contain elements of the popular YA novels mentioned this is more than just a Christian parody of those stories. First of all, characters in this story are flawed. They struggle, lose their cool, and aren’t the perfect Christian archetypes normally found within the pages of books at your local Christian book store. Personally, I could have settled for some seedier or grittier characters but given the intended audience for this book I think the author found a reasonable balance. Some of the characters could have been developed a bit further so that the reader has a little more invested when things start to heat up but I think the development of Parvin, Jude, and Reid were handled nicely. There is a sense of incompleteness with this book. It’s the first in a series so that’s to be expected but I feel like there could have been more told within the confines of this book. The story doesn’t feel complete. The pacing felt a bit odd at times too. Some sections of the book seemed to stretch out while others seemed condensed. It’s those condensed sections that could have used a little more exposition. The climax of the book comes hard and fast. There’s almost no denouement. It feels as if we’re suddenly cut off from Parvin and her story. After the climax I would have liked another chapter or two to pull together the events of Parvin’s last year. These faults are minor blemishes on an otherwise fabulous book. Parvin’s development and journey throughout the book is nicely crafted. Her struggle to believe in God and His character builds throughout the novel. Her faith is dashed (repeatedly) and it develops in fits and starts. Even though I’m a forty-something male I can relate to her struggle. The use of Reid (Parvin’s brother) and Jude (a romantic interest) as spiritual mentors was compelling. Each views their life and “the clocks” differently and their faith is shaped by those points of view. These two worldviews cause a tension in Parvin’s own faith that she must eventually come to terms with. It’s that struggle that compels me to recommend this book. If you have a young adult between the ages of 13 and 17 in your family that liked The Hunger Games this is a must-read. If you’re a fan of this genre you’ll want to read this book too. Parents will want to pre-read the book for younger readers. Overall, I’d give this book a solid four stars. It has few flaws and they’re not so egregious as to steal your attention away from the story or take you out of the novel. A Time to Die, like any good literature, leaves you with questions. The questions from this book center around the sovereignty of God and your willingness to accept His plans for your life. It’s hard to imagine a world like the one Parvin Blackwater lives in but her struggle is one that we all face in our lives every day. About Nadine Brandes: Nadine Brandes writes stories about authentic faith, bold living, and worlds soaked in imagination. She lives in Idaho with her husband and works as a freelance editor. When she’s not writing, editing, or taste-testing a new chai, she is out pursuing adventures. A Time to Die is her first novel.